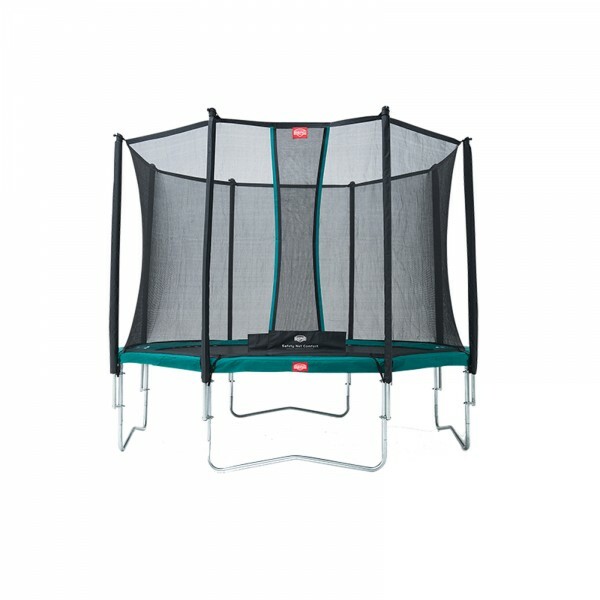 Jump but safely - with the trampoline set including the Berg trampoline Favorit and the Berg safety net. Both Berg Favorit and the safety net for trampolines convince by extreme safety, durability, and comfort. 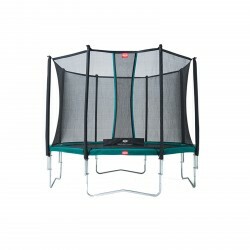 The large protective edge of the trampoline ensures a safe covering of the springs. The material bisonyl provides a very long pleasure to play. All springs. are fixed on the jumping mat by means of 8 times sewn triangular eyes. The spring clip click system guarantees maximum comfort for setting up and moving the Berg trampoline Favorit. 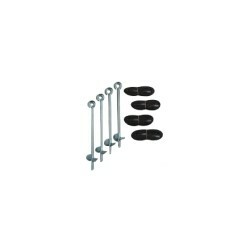 The single frame parts always remain in perfect connection and make moving very easy. The stable, galvanized frame parts make the Berg trampoline really weatherproof. The safety net Comfort with well accessible, self-closing entry, is marked by a well visible green strap. The click system between the poles guarantees that the net cannot release. Jump safer and increase the fun to play for every age. 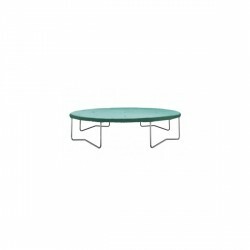 Berg Trampoline Favorit incl. safety net Comfort add to comparison list.